I love pediped® shoes and boots for my children. pediped® is an award-winning children’s footwear company that sells its footwear in over 2,500 stores in the United States and 40 countries worldwide with an offering of more than 150 designs for boys and girls between its three lines. 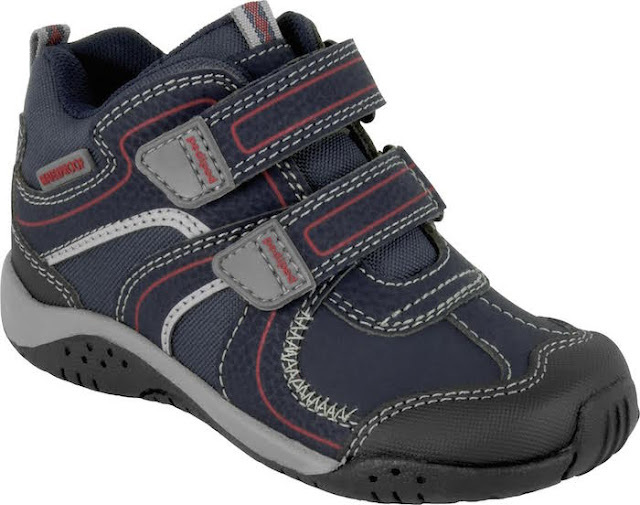 Their Originals® are soft-soled flexible infant shoes for newborn to 24 months, Grip ‘n’ Go™ available in sizes 19-23 are perfect shoes for active toddlers transitioning from early walking to a confident stride, and Flex® footwear are for established walkers in sizes 22-38. I like the exceptional quality and the comfort of the distinct pediped® styles. 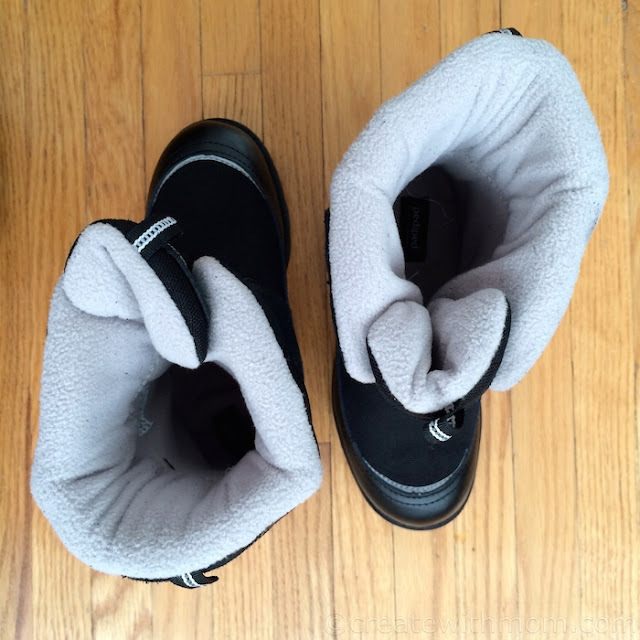 My son loves these Flex winter boots that are really soft because of the fleece lining. The flexible rubber sole gives children the grip they need to do all the fun things they love doing in winter. I not only love the stylish look of these waterproof boots, but most importantly the self-cleaning rugged soles that will allow my son to have natural foot movement in all slippery weather conditions, as well as withstand cold temperatures as it has a temperature rating of -20C. Since the boots are constructed with genuine leather and nylon upper, it will help keep our children's feet warm, and protect from water and cold weather elements. pediped® footwear has been awarded the American Podiatric Medical Association Seal of Acceptance for the promotion of healthy foot development, and preeminent orthopedic medical professionals deem pediped® shoes to be an excellent choice for parents and caregivers who want their children’s feet to develop naturally and healthily. 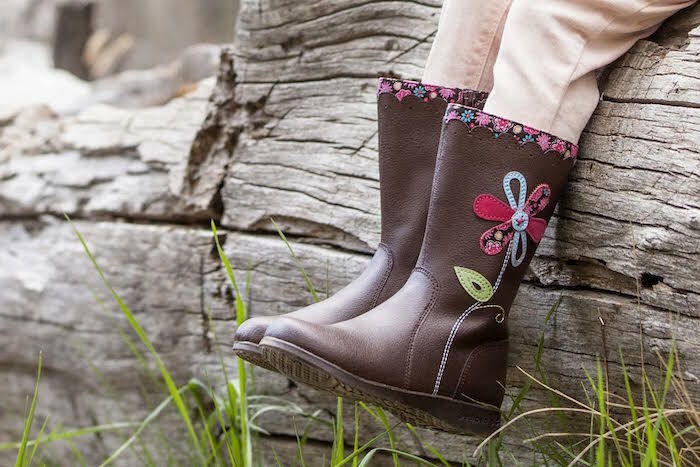 With the cold weather approaching you will want to take a look at these new boot styles for children. Generosity has and always will be a core value of pediped®. Since its founding in 2005, pediped® has been dedicated to bettering communities and enriching the lives of children. The pediped® Foundation has donated $2.75 million in product and monetary support to charities around the world that are devoted to the health, education, and basic needs of children since 2010.
pediped ♥ schools is a one-of-a-kind giving campaign where education partners receive 10% of their total combined purchases of pediped®. School officials, leaders of the PTO or PTA along with parents and teachers are encouraged to enroll their community’s school at www.pediped.com/pedipedschools. Upon enrollment to this program each school gets a unique code and pediped® tracks the purchases registered to each school's code to determine the amount of dollars earned. Purchases for the 2015-2016 school year will be tracked now until May 15, 2016.
pediped® has introduced the Kenadi boot and a corresponding support campaign for the Kenadi Jean Weis Foundation. Kenadi boot was named after a young pediped customer, Kenadi Jean Weis, whose grandmother reached out to pediped for custom sized soft-soled shoes for her special needs daughter. Moved by the request, pediped developed an exclusive shoe just for Kenadi. Kenadi unexpectedly passed away in 2014 at 5-and-a-half. Everyone who purchases a pair of Kenadi boots will receive a "Kolor for Kenadi" package that includes a postage-paid card featuring a butterfly to color and send back to pediped. All butterflies collected will be used to create a wall of honor for Kenadi at the pediped headquarters and the butterflies will ultimately be given to Kenadi’s family. pediped® will donate an extra dollar to the Kenadi Jean Weis Foundation at www.teamkenadi.com for each butterfly returned to the company from now until January 31, 2016. I didn't know pedipeds made boots. I loved the little shoes they make for babies. We bought quite a few pairs for our son when he was an infant. These are so cute. Looks like great quality footwear. My girl had a pair of Pediped boots last year and loved them! It's so important to have good quality footwear for children. My son has issues with his feet and I am always on the look out for well made shoes and boots.